THE WOODLANDS, Tex. 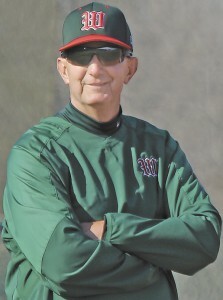 — One of most progressive and successful high school coaches in the nation is Ron Eastman of The Woodlands (Tex.). He has led the Highlanders to a superb 317-88 record over the last 13 years. This season, The Woodlands is 21-2 and were ranked No. 1 in the nation by Collegiate Baseball after rolling to an 18-0 record. Eastman led the Highlanders to the 2006 national high school title, as determined by Collegiate Baseball, after posting a 38-1 record and finishing with 31 consecutive wins to capture the 5A Texas state championship. The Woodlands has won two Texas state 5A championships in 2000 and 2006 under the guidance of Eastman. Previously he was the head coach at Lamar High School for eight years. In 21 years as a head coach, his record is 450-188. Few coaches in the nation have utilized the mental game as Eastman has to give his teams an edge. 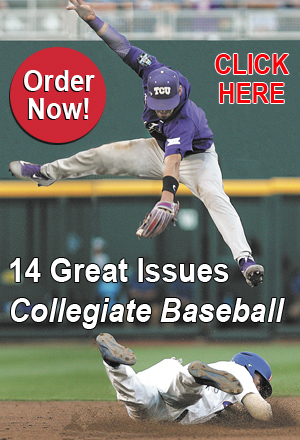 “There is a lot of failure in baseball,” said Eastman. “Anybody who knows anything about the game is well aware of that. There will be adversity during games. When it hits the fan, your players must have something to go to. So we try to impress upon our players that life is like that as well. It’s not always going to be what we call ‘green lights.’ Not everything will go well for you. There will be adversity in life, whether it is with the family, your job, or children. Sports psychologist Brian Cain has worked with The Woodlands to incorporate his techniques to make them more mentally tough. Eastman was asked what specifically his teams do to be mentally tougher. “Our ultimate goal and one of our mantras is ‘Win The Pitch.’ We try to focus on what you can control. You have total command over your effort and attitude. We work very hard on effort in practice. 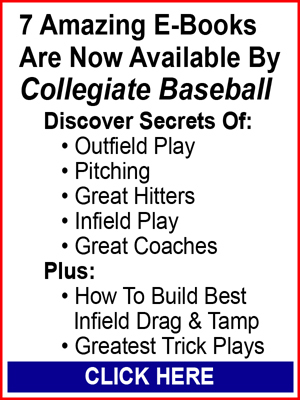 We set a very fast tempo in our practices just like a lot of major colleges have gone to the last few years. “We really focus on players’ attitudes. We have the letter W (initial for Woodlands) in a Superman symbol on the locker room door. 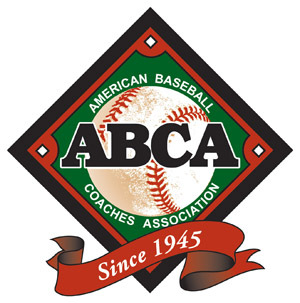 When the young men show up at the ball park and go into the locker room, they are taking their school clothes off and leaving their academics, girlfriends and families there and totally focusing on baseball. 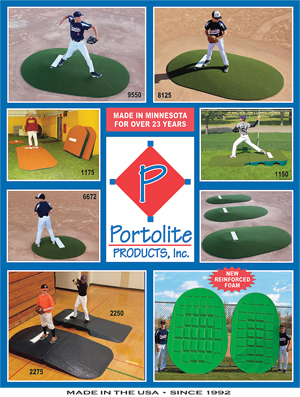 We want them to understand when they are putting on their practice or game uniform, it is all about baseball for the next 2-2 ½ hours. “Then when they go back to the locker room, they leave baseball back on the diamond and focus on the present moment. From the outset, we have our players strive to have a proper mental focus in practice. “We have utilized concentration grids prior to practice that Brian introduced to us. It allows players have sharper focus in practice. This grid has a series of numbers on paper. You must sequence them in numerical order and find those numbers as quickly as possible. It is a way of focusing your brain and mind on those numbers so that you are able to concentrate. 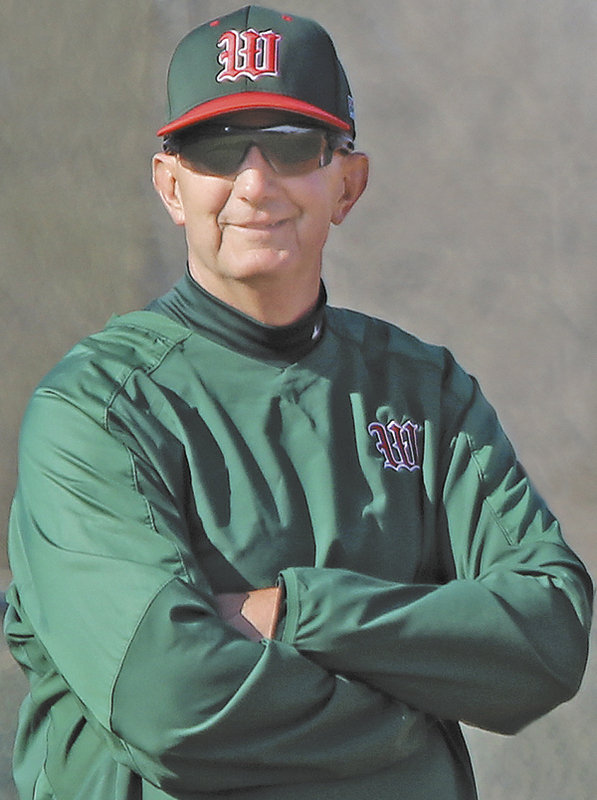 To read the entire in-depth story about Ron Eastman and The Woodlands’ baseball program, purchase the April 19 edition of Collegiate Baseball by clicking here.